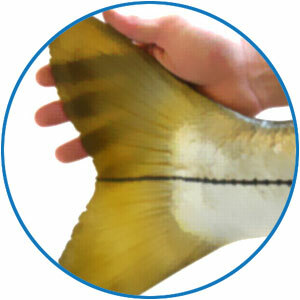 At New Wave Taxidermy we feel that the quality of our work separates our fish mounts from the competition. The detail in the fish provides the uniqueness that brings each mount to life. From eyes to gill rakes every fish that leaves our shop looks just as spectacular as the day it was caught. We go to great lengths to capture that spectacular look and feel every time. And we’ve been doing this for a long time. New Wave Taxidermy has been turning out world-class fish mounts and fish artwork for more than 40 years. But it’s not just about experience. First of all, that means that any fish mount we create will be made to your photograph, video or specifications. Furthermore, it means that if our name is attached to it you can be assured its a world class mount. Every mount we create comes with a certificate of authenticity signed by the artist. 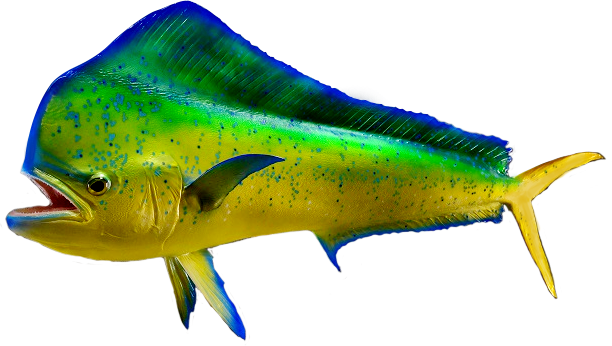 Also, all fish mounts New Wave sells are handcrafted right here in south Florida. Hence, we don’t resell foreign fish. 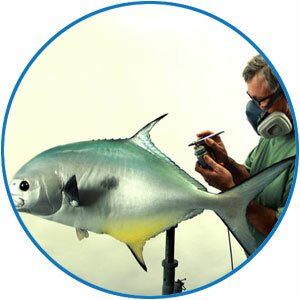 Each and every fish is painstakingly created using all of the resources and God-given talent we have available. Please take a moment to review some of the details you can expect to see from New Wave reproductions. These details are what our business was founded on. We set the standard long ago and we look forward to creating a piece for you that will last a lifetime! The life of the fish is in the eyes. Our eyes have proper pupils and lifelike colors that really make it look alive. 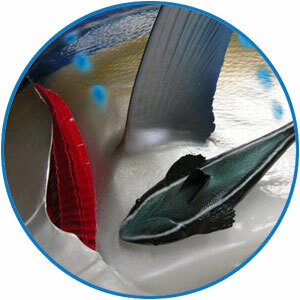 We put eyes on both sides of the fish with the detailed scleral bands around the eye. 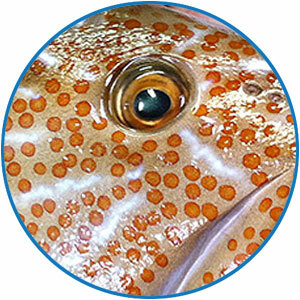 Furthermore, the position of the eyes is considered in each fish to help determine the fish’s character or attitude. When the mount has open gills we want them to be anatomically correct and to look natural. As a result, we have various techniques and products that do exactly that. Some of our mounts have closed gills due to their species or pose. Therefore, the gills will be set to enhance the mount accordingly. 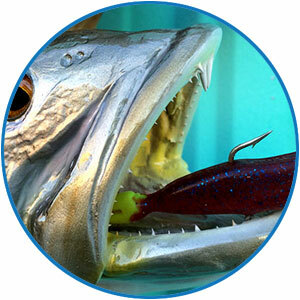 We mold our fish with a method that gives us maximum scale detail. In the past, skin mounts were covered with products to hold it together. This covered the skin, consequently eliminating the detail. 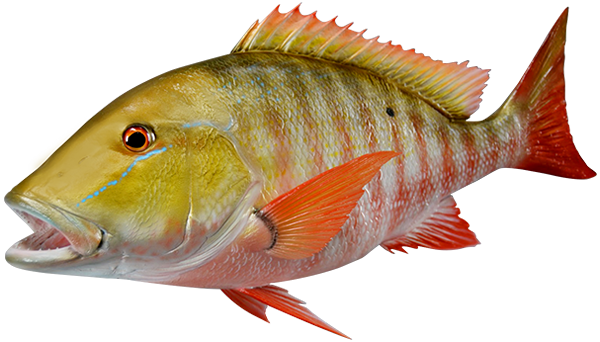 Fiberglass reproductions allow us to capture all of the detail so the fish mounts look real and are of the highest quality possible. You will see incredible scale detail in every New Wave mount. We finish our fish mounts with incredible detail. The interior of the mouth is another important feature of our mounts. You can see details of the gum lines, teeth, gill rakers and tongue, all with paint work back to the esophagus. This feature sets us apart from others who fill in the space and eliminate the detail. Airbrushing and hand painting layers and layers of color, make New Wave mounts absolutely beautiful. This is a visual art and the color work must be natural and real in appearance. After thirty years of technique developments, Michael captures the beauty of the fish like no one else. Every piece is signed and dated by the artist after the paint work has been meticulously completed. 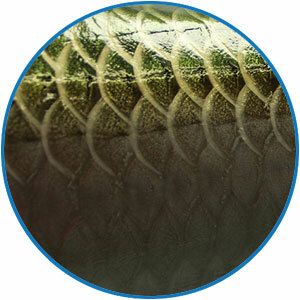 The craftsmanship that makes the fins look natural and flowing is an important feature of the finished fish. Thin, natural positions, fine edge detail and clear or opaque (depending on the species) set New Wave fish mounts apart from all others.